Since a new version of Horizon Workspace came out I’ve been curious about differences and improvements, so i upgraded it to version 1.5. I have to say that, besides some differences here and there in the look and feel and the new functionality to manage VMware Ready Android devices, I have already found a nice improvement in the way you mount the NFS store in the data-va because finally the procedure simply works and there’s no need of crazy workarounds. I also suspect that they improved a lot the way you change self-signed certificates compared to what it used to be; more on this when i will have tested it. Note: You can only upgrade if you have completed the setup procedure and you have a fully functional environment. As you can see it won’t recognize my vPostgres and this is normal. Since I’ve started this series of posts about Horizon Workspace installing the external database on vPostgres i also added the VM to the VApp to make sure it starts for first and stop for last. 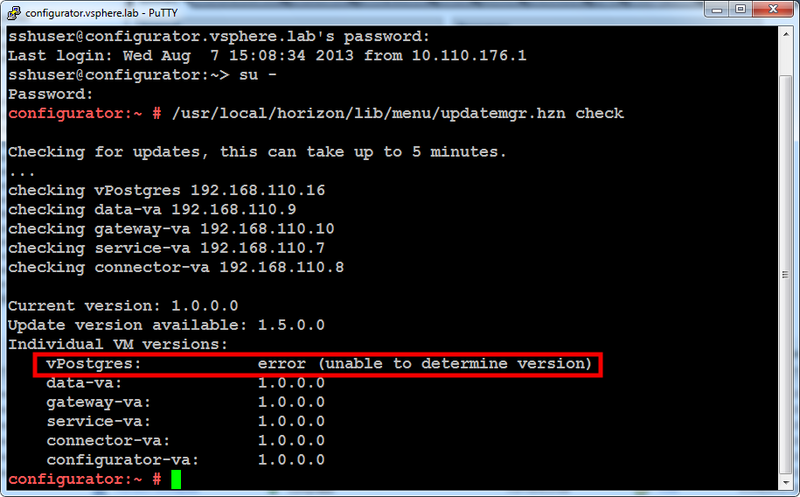 The first time i tried to upgrade i decided to ignore this error and went ahead with the upgrade which failed and left my Horizon Workspace installation in an unusable state so i reverted the snapshots, removed the vPostgres from the VApp and rerun the command and i could see no issue at that point. Given that you didn’t change the default name of the VApp (Horizon-Workspace) this will snapshot all the VMs included in it. Now you should see a whole lot of downloading and installing. In my lab it took about 40 minutes for the whole procedure. You shouldn’t start it again until it’s stopped, so in order to see the status of the command i’ve omitted “RunAsync”. That looks al good, now you just have to remember to update your preview binaries in the data-va if you used the LibreOffice preview because there’s a new version, just do as usual. In my case i also had to put back the vPostgres VM in the VApp. DISCLAIMER: PowerCLI is a powerful tool and should not be used to throw in some commands without understanding the effects. 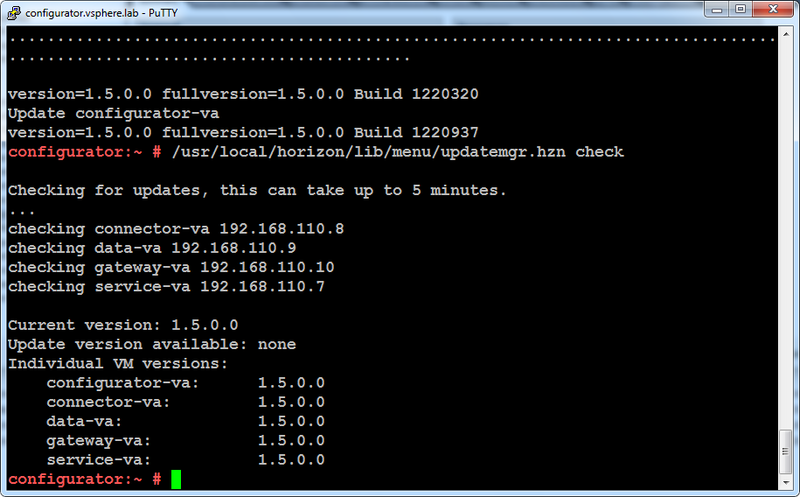 Before running PowerCLI commands in your production environment always test them and adjust them for your situation. I take no responsibility if you don’t test things out yourself first and your Horizon Workspace gets broken. UPDATE: In the release notes it is clearly stated that in the documentation there are missing steps in case you have multiple service-va VMs. Please refer to the Horizon Workspace 1.5 release notes for the additional steps. When using files in your Horizon Workspace Data section you can have a nice preview of the most common file types, like Microsoft Office, PDF, Text Files and such. Using LibreOffice Preview: File previews are generated on the data-va. This is a free option. Using Microsoft Windows Preview: You can use this method to have a Microsoft Windows server act as a preview server. It requires Microsoft Office licenses. Even if with the second option gives you the best compatibility, i go for the first option 99% of the times. Now you should be able to use preview in Horizon Workspace. Note: Password protected Microsoft Office documents cannot be previewed.